Since the Industry 4.0, consumers are now used to having what they need delivered to their doorstep in a few days, if not a few hours – all thanks to last mile delivery startups. Yet from the moment an order is created up until when the package is received, last mile delivery is the only step that is visible to consumers. 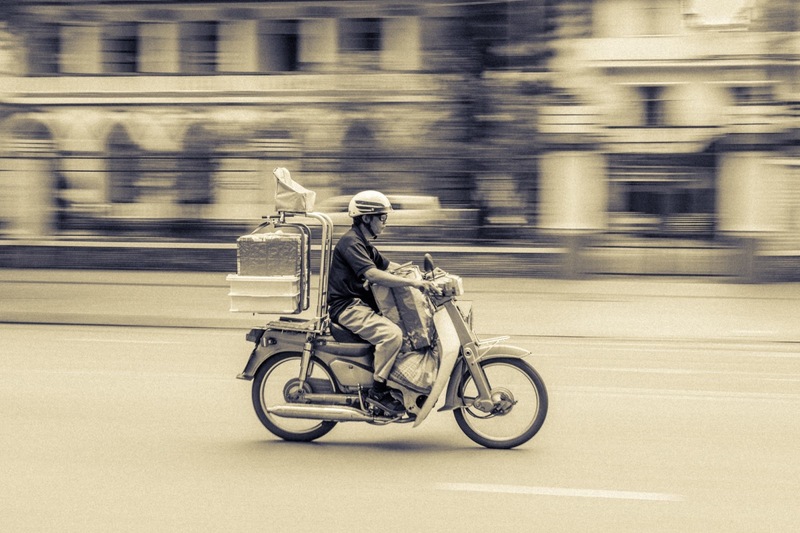 This article will look into the under-explored last mile delivery market in Southeast Asia (SEA) and particularly Viet Nam. What is last-mile delivery (LMD)? A delivery process is divided into first, middle, and last mile delivery. First mile delivery takes products from the retailer or sender to a courier service, while middle mile delivery moves them between fulfillment or sorting centers. Last mile delivery then refers to the final segment in logistics, where finished goods are transferred to the final end user. The “last mile” here cannot be taken literally, though, as the distance for this step can range from just a few to hundreds of kilometers. Last mile delivery can make or break the business, for customer retention and future behavior is tremendously affected by their delivery experience. Being the final step in the process means customers expect last mile delivery to take as little time as possible and they are willing to pay premium to fasten this specific service. As such, this market niche expects high growth and profitability, yet the benefits also come hand in hand with complicated challenges and unsolved problems. Logistics and fulfillment in general have been a major headache for retailers and e-commerce players as it is costly yet ineffective. Last mile delivery is frequently labeled the most troublesome for ecommerce: it often requires the higher if not highest percentage of cost compared to other steps in delivery – up to 40% of total transportation cost. There are four main causes that lead to this challenge: lack of regional knowledge, lack of manpower, lack of infrastructure and over-reliance on cash-on-delivery (CoD) payment. To build a logistics fleet, the first challenge is lack of regional knowledge. In developing regions like SEA, the gap between metropolis and rural areas is large while geographic and cultural characteristics are diverse across regions. An example of domestic delivery challenge is the Indonesian archipelago, which consists of many islands, making inter-island last mile delivery problematic. In this case, outsourcing fulfillment lets the firm benefit from the experience, logistics innovation, and extensive network of warehouse inventories and carriers that the 3PL has gained in specific areas that they operate in. This helps the firm localize their delivery and fulfillment service to fit with different market needs in different regions. Manpower is the second piece in the puzzle. Training a logistics workforce is not a quick and easy task. It becomes much more difficult if the firm has a desire to reach out to a wider geographic scope. Outsourcing to a 3PL means the firm gets immediate access to a team of experts with regional experiences, innovative transport management system, and the ability to handle risks and provide legal support for the firm in delivery to reduce insurance costs. The outsourcing firm can save time (and maybe money, too) for their own innovations in the business model, marketing strategy, or customer service. This is especially true in SEA and particularly Viet Nam, where the infrastructure conditions and specific market needs create great challenges for delivery service. Infrastructure is the third cause for inefficiencies in SEA’s last mile delivery. 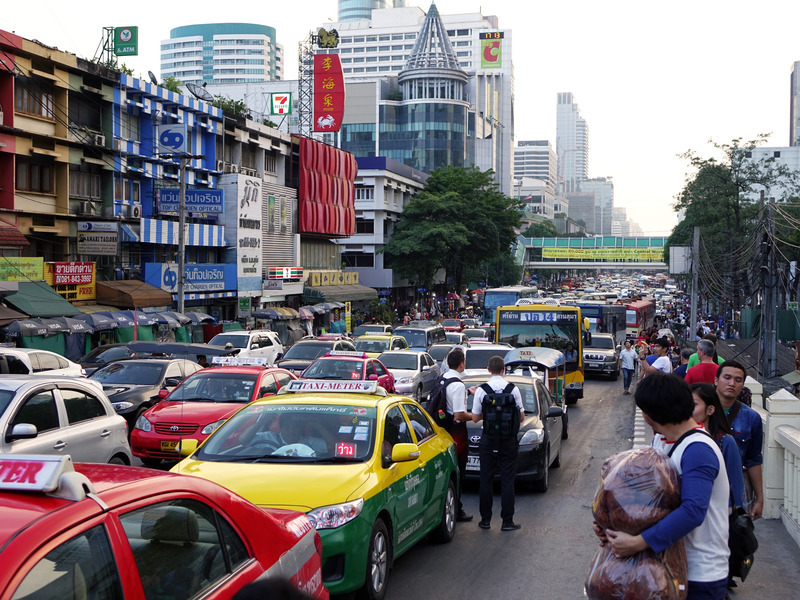 When transportation infrastructure cannot be improved quickly enough to keep up with waves of population concentrated in urban areas, metropolis traffic congestion is a major issue. In some Asian countries, motorbike is the most common vehicle used to deal with traffic jam, but its small size and design are not ideal for delivery and handling large loads of packages. Rural areas, on the other hand, lack quality infrastructure, which makes it difficult for deliverers to access certain regions in developing countries. Not only does this result in higher capital and operation costs for the last-mile startup, but it also challenges the firm technologically. As real-time delivery tracking becomes an urgent need for customers, high frequency of inaccurate or inaccessible addresses causes route optimization to be more complicated and inefficient. Last but not least, cash-on-delivery (COD) fulfillment is the fourth cause for inefficiencies in last mile delivery. For 85% of digital buyers in Viet Nam, COD is still their primary payment method. This results from both a low percentage of payment card owner in the population and the power of habit, as many consumers do not have enough trust in digital payment and prefer the tangibility of cash. Thus cash is still the crowned king in payment, but how is COD going to work if the point of collection is Ha Noi and the money needs to be delivered to Ho Chi Minh City, almost 1,200 kilometers away, in a few hours? The cost for last mile delivery companies to operate COD service is very high because it makes the delivery process more human-resources intensive, fragmented, and difficult to manage. 3. How big is the last mile delivery market? The market size and growth of last mile delivery go hand in hand with those of e-commerce in general and e-commerce delivery in particular. According to Statista, SEA e-commerce market is expected to grow exponentially from $13B currently to $90B in 2025. With Viet Nam being one of Asia’s rising tech hubs, the Vietnamese e-commerce market is also expected to grow by 23% per year until 2022. As a result, e-commerce delivery will likely grow at the same pace, if not faster. In 2017, the total market size of e-commerce delivery in Viet Nam is $400m, with 35 million packages being delivered in a year; 10% of this market size is attributed to last mile delivery. A CAGR of 42% is suggested for VN e-commerce logistics market and that of last-mile delivery is expected to follow suit. Prior to technological disruption, in the early 2000s, the e-commerce logistics market was still highly concentrated with only a few major players such as VN Post and Viettel Post. 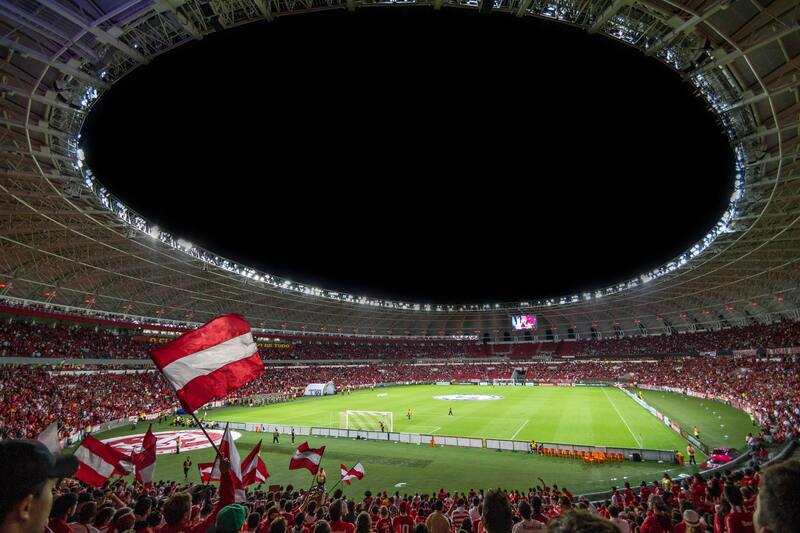 Geographical characteristics and infrastructure have been major barriers of entry for new players because these problems require intensive capital investment to overcome. However, tech-savvy startups have found ways around this. Following the trend of digitalization, startup players start coming into the picture since 2010s and make the market more fragmented than ever. Notable names have appeared in the field across Vietnam and SEA; however, last mile delivery is still a premature market with largely untapped potentials and room for innovation. Up until 2010, the growth of e-commerce had not been accompanied by a proportionate growth in logistics and fulfillment service for this sector. Firms needed to step up their logistics game in order to fill into the ever-growing demand for online retails, and that was when startups realized a major opportunity for last mile delivery to thrive. In just under ten years, despite the last mile delivery market’s prematurity, many players have stood out with their competitive edges, both in Viet Nam and in SEA. Founded in 2013, Giaohangtietkiem (GHTK) was one of the pioneers in Vietnam’s last mile delivery market. Using an app-based model similar to that of Uber/Grab, GHTK allows its customers to book a shipper for delivering their package and track the shipment real time. GHTK focuses on B2C last mile fulfillment. GHTK Pro is a mobile app exclusively for businesses to manage effectively and gain insights into their delivery process. During their 5 years in the market, GHTK continuously improves their own transportation management and APIs (application processing interfaces) for effective partner communications. Since 2017, GHTK has also covered all 63 cities and provinces in Vietnam with its delivery network. GHTK ensures 6-hour delivery for intracity requests and 24h fulfillment for requests between Hanoi and HCMC. GHTK’s advantages are its extensive scope of activity, a large team of more than 8,000 drivers, and over 100,000m2 of warehouse area. A pioneer in last mile logistics along with Giaohangtietkiem, ShipChung was founded in 2012 as an affiliation of a software solution company. Later in 2016, ShipChung spinned off and became an independent entity. ShipChung differentiates itself by providing a platform aggregating multiple delivery services from different companies. Customers can go to ShipChung’s web platform or mobile app to create a delivery request, then ShipChung will choose a service that best suits the need of customers. It also allows customers to find and compare fees across different services and different companies. ShipChung already partners with many delivery players from the first mile to the last mile in delivery process, such as ViettelPost, EMS, Ninja Van, Giaohangtietkiem, and more. Launched in 2015, AhaMove is now among the most prominent last mile delivery startups in Vietnam. It is a portfolio company of Giaohangnhanh, an earlier last mile delivery firm. The CEO of Giaohangnhanh started AhaMove with a focus on truck delivery, but the young startup later shifted to motorbike to fit the Vietnamese market’s demand of express delivery despite rush hour traffic. AhaMove provides a cooperation platform on website and mobile app to connect those with last mile express delivery needs to motorbike riders who can help with delivery. Their target customers are retailers, small and online business owners, or restaurants that provide take-away. Under-2-hour delivery and advance COD service are notable selling points of the company, complimented by real-time shipment tracking on the app. AhaMove also offers temperature-controlled boxes for food delivery, making it one of the few potential partners for F&B businesses. Starting out as Piiship, then rebranded as Ship60, this young player in the Vietnamese last mile delivery market is becoming one of the leading names. Similar to AhaMove and GHTK, Ship60 develops a platform for booking delivery on demand, offering this service through both mobile app and website. Currently operating in major cities such as Hanoi, HCMC and Da Nang, Ship60 guarantees that the driver will arrive at the sender’s place within 20 minutes after the order is created and get the package delivered in under 1 hour. To achieve this, Ship60 utilizes a point-to-point model in which goods are picked up and delivered immediately afterwards by the assigned driver. Temperature-controlled delivery boxes make Ship60 a trusted partner for fulfillment service of F&B retailers. In addition, Ship60 provides an advance COD service that benefits businesses. SuperShip entered Vietnamese last mile delivery market in 2015 and grew in popularity when the startup successfully raised a 2 billion VND investment on Vietnam’s “Shark Tank” program. Operating on a web-based platform, SuperShip lets customer book a delivery order online and get it delivered by motorbike. It specifically targets retailers, both online and offline, partnering with them to cover their last mile logistics. Due to its B2B focus, SuperShip focuses on support services for businesses to ensure smooth and satisfying customer service at the end point. Other than basic services like COD and express shipping, for example, SuperShip has a product testing/try-on service that allows customers to test their products upon receiving them, which comes with convenient return and exchange support. In the near future, SuperShip will expand its coverage to more provinces in Vietnam as well as other neighboring countries like Laos and Cambodia. Shippo is another young last mile delivery player in Vietnam. The startup fulfills intracity last mile logistics needs for retailers in Ho Chi Minh City. It also has an express, 1-day delivery service between Hanoi and HCMC. Order requests are made through its website, and Shippo has also recently launched its mobile app. 4 years into the logistics industry, Ninja Van now positions itself as SEA’s fastest growing last-mile logistics company expanding regionally to 6 countries. 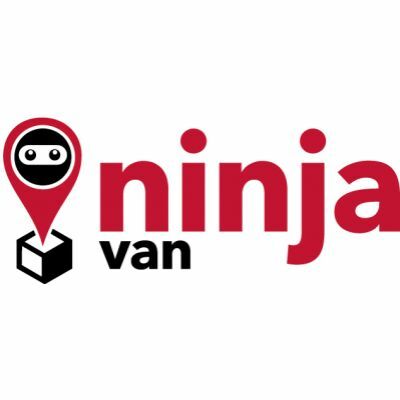 With its platform-based delivery booking system, Ninja Van can connect retailers to available shippers to help fulfill their last mile delivery requests in 1 day. Moreover, it allows the receivers to create a Return request when they are not satisfied with the product. Its clients are big e-commerce companies such as Lazada, Zalora, Shoppee, and so on and thousands of retailers. 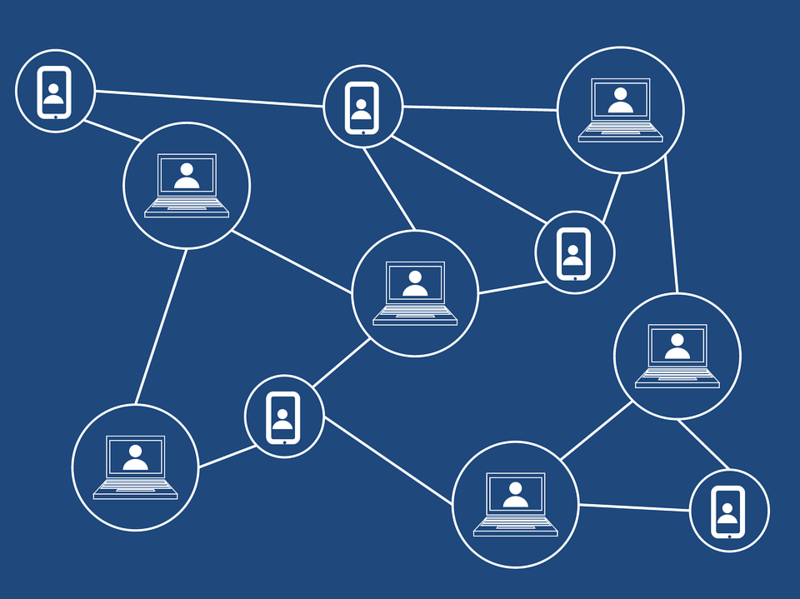 In order to process the heavy load of deliveries and effectively communicate with businesses, Ninja Van constantly upgrades its optimization algorithms to minimize cost and time as they expand into the region and open-source APIs to enable businesses and customers to keep track of the parcels real-time on Ninja’s online platform. Besides home delivery, it provides self-collection option through distribution points and automated parcel lockers that allow customers to conveniently pick up their packages whenever and wherever they want. Ninja Van has cash-on-delivery option for businesses accepting payment beyond electronic means. Earlier in 2018, the startup has entered Vietnamese market and become a direct competitor for local last mile delivery players. Launched in 2016 in Malaysia, Zoom offers logistics solutions to businesses, online e-commerce and brick & mortar retailers. Zoom is an on-demand delivery specialist that provides both same day delivery and 1-3 days delivery but has a focus on same day delivery. With its delivery management platform and Zoomers (trained delivery team), businesses will be able to experience seamless and fast delivery service. Its delivery management platform uses cutting-edge technology that allows businesses to manage deliveries, track parcels online in real time. The platform will then calculate the optimized route to save cost and time and assign a zoomer to deliver to customers. Businesses registered with Zoom will have a hassle-free delivery experience. This platform has set Zoom apart from its competitors. Zoom delivery team now has 80 people and 300 registered freelancers. It attracts over 200 businesses with 80% of them using it on a daily basis. Etobee is a mobile marketplace that connects customers with the nearest courier available through the use of web and mobile application. Etobee also provides corporate and business customers with a dashboard to track deliveries. Etobee offers options for same-day, next-day, and regular deliveries. With the growth of E-commerce, Etobee establishes exclusive relationship with e-commerce businesses to provide them fast and cost-effective delivery service. In addition, it utilizes route optimization to have multi-pickup and dropoff in order to maximize the capacity of the container to the same area. Etobee currently has more than 100 commercial vehicle fleet, consisting of motorcycles, vans, and trucks catered to the demand of customers. Its recent completion of Series A funding round up to US$3.5 million helps Etobee improve its logistics service and expand into digital financial services. Mober is the first-ever tech startup that offers on-demand platform for same day delivery service in Philippines since 2015. Its target customers are SMEs, shoppers, and starting families. What is interesting about Mober is that, different from many other last mile delivery players in SEA, the startup only focuses on four-wheeled instead of two-wheeled vehicles for transportation. As a last mile logistics player, Mober has gradually changed the behavior and expectation of customers in the Philippines e-commerce market. Mober utilizes a van system to enable same-day delivery of bulky items, such as household appliances, in metro Manila. Their diverse services include moving furniture, taking customers’ pet to the vet, and so on. With these versatile features, Mober is proving to be a strong and innovative last-mile delivery service that is cost-effective and time-efficient. Founded in Thailand since 2014, Skootar is a startup that provides platforms connecting customers with motorcycle courier service in Bangkok to make deliveries via website and mobile application. Skootar focuses on SMEs to provide them with same day last-mile delivery service and API platform to track and manage deliveries. It also has Cash-on-Delivery Option for Corporate Consumers accepting both electronic and cash payment. For individuals, Skootar offers services tailored to the needs of customers including food deliveries/ shopping services, urgent item pickup and delivery. Its competitive edges are its extensive network of motorcyclists in Bangkok Metropolitan and its innovative technology offering a platform for businesses and individuals to manage deliveries. In order to deal with the dense traffic situation in Bangkok Metro region, Skootar exploits the use of motorcycles instead of vans to expedite delivery and pickup. 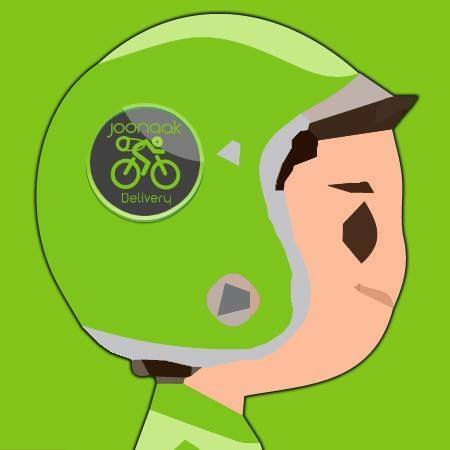 Joonaak Delivery was founded early 2015 to fill into the untapped delivery needs of SMEs in Cambodia. Joonaak provides a comprehensive last mile distribution and fulfillment service for businesses, including corporate gifts and documents delivery and online shop distribution. Its service is strictly B2B, which means business owners work directly with Joonaak to arrange delivery plan for their businesses. Joonaak provides half-day delivery with COD service, along with a web app for real-time tracking of products. Its B2B-intensive focus calls for more fulfillment solutions for SMEs, which is warehousing and product packaging service that helps reduce fulfillment cost for the company on bigger scale. The investment scene for logistics startups in general has been very vibrant in SEA. Part of the reason is because these startups are catching up with the technological trend and able to scale fast with their innovative approach to the market. As venture capital firms (VC) are riding the wave of digitization trend and investing heavily into tech-based startups, most funding rounds of last mile delivery startups in SEA involve VCs from the startup’s own country as well as from different parts of the world. Openspace Ventures was one of the first investors in the Indonesian unicorn startup Go-Jek and had followed this startup until Series C. Openspace has an interest in technology companies based in SEA and its portfolio also consists of startups from Vietnam. Like Go-Jek, most of its investment deals have secured follow-on fundings. In later rounds with Go-Jek, significant investors from other parts of the world, including the 46-year-old US VC fund Sequoia Capital and Rakuten Group’s corporate venture arm, Rakuten Capital, joined Openspace. Both investors have a portfolio spanning multiple stages of startups from early to growth and different continents, including Asia. Go-Jek not only receives funding from investors but also gives funding to other startups. One notable example is Bangladesh’s motorbike-taxi hailing app Pathao, which has raised a pre-series B investment led by Go-Jek earlier this year (reportedly over $10 million raised). Pathao’s CEO Hussain Elius stated that the investment was not a method for Go-Jek to expand into Southeast Asia; there are many differences that distinguish Pathao and Go-Jek – for example, Pathao has executed bike financing in Bangladesh and Go-Jek has not offered this service. One would think that with the investment in Pathao, Go-Jek is betting on the success of its model in a new market rather than expanding its own services. In Singapore, startups with innovative last mile delivery solutions, regardless of their scale, can attract a diverse pool of investors. Parcel Perform and its B2B focus was able to raise almost $1.5m in total for two Seed rounds from Silicon Straits, Wavemaker Partners and 500 Startups. Silicon Straits has a track record for investing in e-commerce, logistics and transportation-related companies such as Deliveree, Bluebird and vPost. It provides support for SEA tech startups in the form of investment and consultation. Wavemaker, a VC dual-headquarted in Singapore and the US, is expanding their geographic scope of investment worldwide. 500 Startups, a global accelerator, invested in Parcel Perform through its SEA branch, 500 Durians, focusing on innovative startups in the Seed stage. The Thai startup Skootar was able to raised over $400k in its Seed round led by Galaxy Ventures. Galaxy is a Thai corporate VC focusing on early-stage startups in entertainment and SaaS. Its current portfolio consists of 4 Thai startups and 1 Vietnamese startup, making it a potential investor for the SEA region. Startups in smaller yet growing markets in SEA are also standing a great chance with investors. An example of this is Cambodia’s Joonaak. Being a pioneer in its regional market, Joonaak has successfully closed a deals with SADIF (Smart Axiata Digital Innovation Fund) for further technological improvement as well as expansion plan in the future. SADIF is a $5m Cambodian VC investing in Cambodian-based, digital service companies and start-ups that have the potential to positively impact the country’s digital ecosystem. Similar to the case of Joonaak, last mile delivery startups in Vietnam can also seek fundings from local investors. Logistics startup is considered very promising by investors in Vietnam, as Vietnam Business Logistics Association has voiced the need for a logistics startup investment fund last May. Among Vietnamese VCs, VELA stands out with its focus on technology and specifically e-logistics startup investment. VELA has invested in Shippo, a startup providing smart solution to last mile logistics. In conclusion, the last mile delivery markets in SEA in general and Vietnam in particular are experiencing significant innovations. Startups are applying new technologies to tackle the four main causes of logistics inefficiency in this region: lack of regional knowledge, lack of manpower, lack of infrastructure, and cash-on-delivery reliance. The undisputed growth of ecommerce is another catalyst for the development of the last mile delivery market. This appealing growth also brings about increasing competition among startups for both market share and funding from investors. It is still too early to conclude which startups will emerge victorious as there is still a lot of untapped potential in this market.